Brave meeting, all. My name is Jon, though I more frequently go by ZyzzyvaProject in and around games. I’ve been playing card games for the better part of two decades now, and have played The Elder Scrolls: Legends since the beginning of the open beta in July. As a lifelong fan of limited formats, I’ve been pleased to see the amount of attention and support that Direwolf has given its various Arena modes. As a lifelong data nerd, I wanted to see if a little data analysis could help me take my Arena game to the next level; what I came up with was The Orrery. So What Is The Orrery Anyway? If you open up The Orrery, you’ll notice it’s separated into a number of tabs, each containing several tables. The calculations within the included tables are based on two factors–the percentage of available creatures (or creature-like cards such as Midnight Sweep) at a specific cost and rarity for each attribute, and the relative frequencies at which picks of different rarities are offered in Arena. The ‘Rarity’ table shows a working estimate of how frequently different rarities are offered in Arena as well as a detailed breakdown of the math involved in these tables, for those inclined.The ‘Base’ and ‘Classes’ tables show the percentage of creature cards at a specific cost and rarity for each attribute and each class. The ‘Weighted’ and ‘Full Tables’ tabs use this data to calculate the probability that any one card will be a creature of a specific cost (‘one card’) or that one of the next set of three cards you’re offered will be a creature of a specific cost (‘three cards’), in each case taking the frequency of different rarities into account. They also include some charts to help you visualize each class’s curve. Note also there are no card rankings within this table. Niben Bay Cutthroat and Crown Quartermaster both count as common Intelligence one-drops, even though one is dramatically more viable than the other. While this isn’t a large enough sample size to say for certain how Legends’ rarities are distributed, we can at least use this to get a rough estimate of how likely you are to be offered a pick of a certain rarity. You have approximately a 1 in 4 chance of being offered a rare, a 1 in 10 chance for an epic, and a 1 in 45 chance for a legendary. This leaves the chance that you’ll be offered a common at a little over 3 in 5. Looking at these numbers, you’ll see that a little under two thirds of your deck will be commons. In my experience it was very unusual to have fewer than 16 or more than 20 commons in your deck–this may be a result of the above probabilities, but it wouldn’t surprise me if there’s a hard minimum and/or maximum number of common picks that Legends will offer you. On the other end of the scale, you’re likely to see a legendary about every other arena. In fact, if we take the probability that a legendary won’t appear in your arena (roughly (100 – 2.25)^30) we get 50.5%. So if you aren’t getting at least one legendary in at least every other arena you play, you’re totally entitled to complain about variance. Looking at the above, we can see that Mages have the highest probability of being offered a two-drop (45.79%), while Warriors have the lowest (38.72%). Archers have a similarly low two-drop percentage, but a three-drop percentage far above that of any other class (54.61%). So what does this mean for you? Well, say you’re 20 picks into your Arena draft as a Crusader. You’ve picked up some powerful cards so far, but only have 2 two-drops. You’re offered a Golden Saint, a Silvenar Tracker, and a Shivering Apothecary. The Saint is clearly several tiers above the other two cards, but if you pass the Tracker, how likely are you to be able to fill out your curve? Well, with 10 picks left, and 40.07% chance of being offered a two-drop at each pick, you’re likely to be offered around 4 more creatures that can fill out your curve. Add the 18.76% one-drop probability, and you have a 58.83% probability of being offered a potential curve filler each pick, so likely 5 or 6 cards. Of course, that doesn’t take into account the quality of those curve fillers, or the quality of the cards you’d be picking them over. You may decide that’s enough reason to take the Tracker to ensure your deck has a viable curve. This probability can also be used early on in your arena draft to decide whether or not to pick up mediocre cards to fill your curve. For instance, Spellsword has the second-highest probability of being offered a five-drop and the second highest total probability of being offered a six, seven, or eight drop (26.10%, only Scout has a higher probability). Therefore, in Spellsword, it’s less of a risk to pass over those Tusked Bristlebacks and Lowland Trolls early–you’re more likely to have opportunities to fill up those slots later. Using this data, we can also begin to make sense of what Fall of the Dark Brotherhood means for Arena curves. FotDB adds 17 commons and 11 rares to the draft pool for Arena–that’s about 15% of the pre-FotDB common pool and 10% of the pre-FotDB rare pool. The most dramatic effect FotDB may have in Arena will be making many powerful commons–such as a Lightning Bolt and Piercing Javelin–more scarce. However, it will also make two-drops slightly more scarce for nearly every class (Archer is the one exception, receiving both Skooma Underboss and Protector of the Innocent). On the other hand, five-drops are becoming more common for all classes (Crusader in particular), so filling out the upper parts of your curve will be easier regardless of your class of choice. 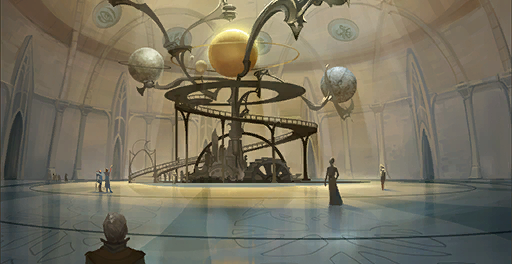 I’ll be continuing to log Arena counts into the Orrery to improve rarity calculations, as well as add new monthly cards as they’re released. The data in these tables is by no means final or exact, but hopefully the estimates given here will serve as a useful tool in honing your arena skills. Happy drafting, and luck to your house. Part time writer and musician, full time gamer and data nerd. Two decades with CCGs, 10 months and counting with TES:L.